I don’t DNF a book often. And to DNF a work of Rock Fiction? Yet that’s exactly what I did with Jennifer Echols’ Dirty Little Secret. The problem isn’t the story. Much. Okay, let me try again. The problem isn’t that it’s not Rock Fiction. This most certainly is: Bailey’s sister has a music deal. Bailey’s not allowed to perform or do anything that would draw attention to herself and therefore away from her sister. In short, the label is trying to erase Bailey, and Bailey’s parents are okay with that. 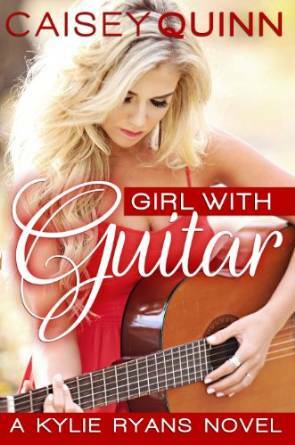 But her grandfather, who she’s living with, has other ideas and he gets her a job as a member of a mall performance troupe, doing covers of old-time country artists. Lucky Bailey gets to dress the parts and play with different people every day. So having a set of parents who are willing to basically disown their daughter while promoting the other isn’t enough to make me stop reading. Parents in fiction have been horrible clear back to the days when fiction was made up of stories passed down, generation to generation, at the nightly cooking fires. You know: Cinderella? One of the oldest tales of all time. As a parent, and as a person, what Bailey’s parents do is pretty reprehensible to me. But nope, we’re still not at the reason for my DNF. It’s Scott, the romantic interest. At first, he comes off as a Ferris Bueller type, charming and able to get away with everything. Not just charming, but charmed. At first, you can’t help but like the guy. He is, after all, Bailey’s savior, at least at the onset. But if you’re familiar with the deeper undertones of my buddy Ferris, you’ll see that he’s got some deeper problems. Ferris isn’t a character to emulate or even want to be around. And when Bailey starts getting into his head, anticipating his needs, and modifying her own behavior… well, she’s bought into his narcissistic behavior. She’s feeding it, she’s the provider of the supply. This happens within pages of Scott being her savior, mind you. Don’t get me wrong; it’s well done. I’d wager that author Echols knows pretty darn well what she’s writing about, because she’s got it down cold. Maybe too cold. Because the PTSD came roaring back and I had to set the book down and walk away. So there ya go. A work of Rock Fiction with a DNF attached to it. 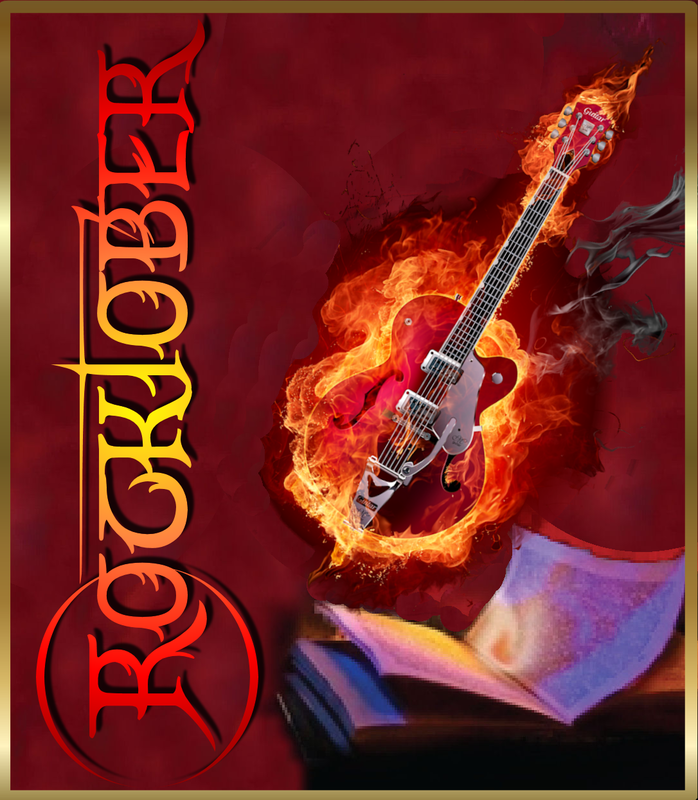 It’s the last time for another year that I can use the awesome Rocktober logo (designed by the awesome Magnolia Belle, herself an author of Rock Fiction, so please pick up her books and leave a review when you’ve finished them. ), and that makes me sad. I love the Rocktober logo. As always, it’s been a great month, with new authors and authors who’ve been here before, and books, books, books. Not just books. Rock Fiction. Haven’t had enough? Well, here’s an offer for you. I’ll leave The Demo Tapes: Year 1 for free for a bit longer — like, whenever I go, “Hey, I should fix that!” — and Trevor’s Song at 99c. If you send me a link to a review you’ve posted at GoodReads, Amazon, B&N, or anywhere else (your blog? ), I’ll send you whichever of my books you’d like next. The more reviews you write, the more free books you can earn. I am hoping to have something brand new (but not Rock Fiction. The horror!) out in the spring. So yes, you can save your freebie for that one, too. Read. Review. Get free books. And remember… it’s Rocktober all year long here at the Rock of Pages. Want to write a guest post? Go for it. Post a review? Go for it. Cross-post a review? Go for it. Got something YOU want to covet? Go for it! Drop Susan and Jett a note. We’d be glad to host you. It’s all about spreading the word of Rock Fiction. Melissa Wells clearly has Google alerts set because she found her book, Come Dancing, included on our overall list of Rock Fiction here at The Rock of Pages. She was kind enough to get in touch with me and send me a review copy. And I meant to send it on to Jett, I really did. But some sixth sense interfered and before I knew it, I’d loaded it onto my Nook and was forty pages in. My sixth sense is smart. Come Dancing took me back to my own past, to a New York I’d forgotten about. In a nutshell, it’s the story of rocker Jack Kipling, who sees editorial assistant Julia Nash dancing the night away in New York’s famed Palladium. He’s smitten, even moreso when she doesn’t jump in his bed or play hard to get; she’s naturally cautious. Their relationship grows, it evolves, and most of all, Julia herself grows and learns to see what she’s capable of: in work, with her family, and with her relationships. She learns what she wants from life. I loved this book. Yes, there’s that stroll down memory lane even though Come Dancing is set in an earlier era than the late 80s/early 90s when I was a frequent visitor. The garbage night treasure hunts, the Halloween Parade, the characters who made New York so colorful and vibrant… they were all there, teasing out memories I’d long forgotten. No wonder when I hit San Francisco in the early 2000s, I was nonplussed by what caught the attention of my travel buddies and friends. After that era in New York, nothing else compares. But there’s more to love. It’s the slow unfolding, the way the reader gets to know Jack as Julia peels his layers away. At first, I didn’t much like him and thought he was transparent or thin as a character. But slowly, we see beyond the image to the man, a man with real struggles and a pain that a lot of Rock Fiction doesn’t go near. Jack is a broken man, in his own way, but he’s also working to overcome, and that’s admirable, indeed. Julia, too, grows from her relationship with Jack, but even more from her friendship with the girlfriend of Jack’s bandmate and from two of her co-workers who know she can rise above the lecherous boss – oh, how I remember those, too! – and have her back when she most needs it. A couple things bugged me, though. One was the stereotypic naked blonde in Jack’s bed. The entire situation was a cliché, to the point that when Julia made her impromptu decision, I knew what was going to happen, how the blonde had gotten there, and how disruptive to the storyline she was going to be. Okay, an early draft of my own Trevolution stories might have included this exact scenario – like I said, cliché! The other thing that bothered me was that although you can’t help but root for Julia, she’s a bit of a wunderkid. She gives Suzanne the idea that becomes her artistic breakthrough. She edits best-selling books. She lands the memoir and triumphs over her too-perfect rival. She encourages Jack to overcome his issue, which I won’t spoil but really love how it’s handled (and yes, I picked up on the problem before Julia did). She’s the perfect dancer. Handles the lech of a boss and Jack’s idiot bandmate perfectly. It gets to be a bit much once you take a step back and analyze it, but at the time, it works. Of course, she’s not perfect. But maybe she’s a bit too idealized. Even the breakthrough with her mother is a little too neat, a little too simplistic. Still. This is one of those books I wish I’d edited, not because I could make it better so much as because it would have been great fun. Julia is from my neck of the woods, after all – although her mother seemed more West Virginia than Western PA.
One thing I struggle with is that a large number of other reviewers didn’t recognize that the book is set in the 80s. What a shame. It was a dead giveaway for me on page 2 (or 8 in my copy), with the first mention of the Palladium. I never made it there, hanging at (my favorite) The Limelight, CBGB’s, or the Cat Club, but believe you me, I knew the Palladium. I remember being sad when I heard it had closed. I suppose if you came into pop culture after 1991, you’d miss that cultural marker. Which is too bad; Leslie Wells captures the era like a pro. The last time I read a book that was so quintessential New York of my own past was Fat Kid Rules the World, which also remains as one of my all-time favorite Rock Fiction books. Can’t wait to see what else Leslie Wells has up her sleeve. From the look of it, there’s two backlist books I need to track down – and rumor has it a sequel to Come Dancing is in the works, as well. I’ll go read the old stuff that while you go dancing with Julia and Jack.